Overview: Edith Wharton’s home in Lenox MA, known as “The Mount” hosts nearly 40 thousand visitors a year for house tours, events, walks in the gardens and more. Challenge: The Mount faced a significant fiscal crisis in 2008. Studio Two had managed the brand and marketing since 2003 and had to find ways to continue to build audience and revenues for the organization with virtually no resources. 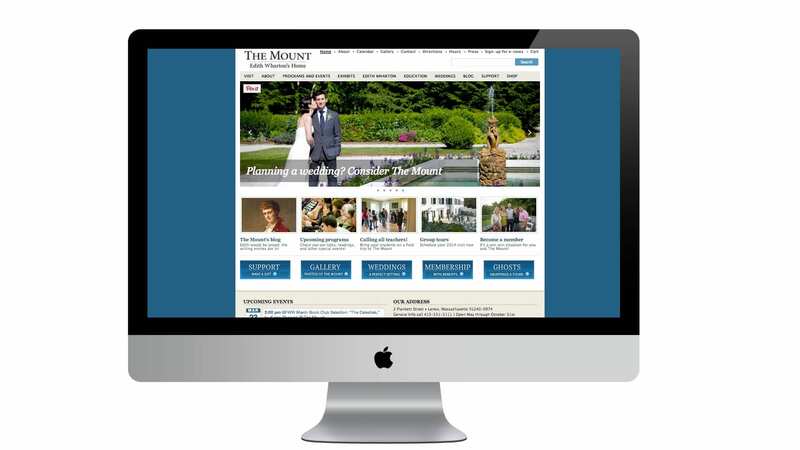 Solution: We worked with The Mount to craft a new strategy around the web, SEO, social networking and other tools. We also turned to on-demand printing technologies to handle publications. We maintained their message and vision through a period of severe staff shortages without interruption. Visit the website at www.edithwharton.org.